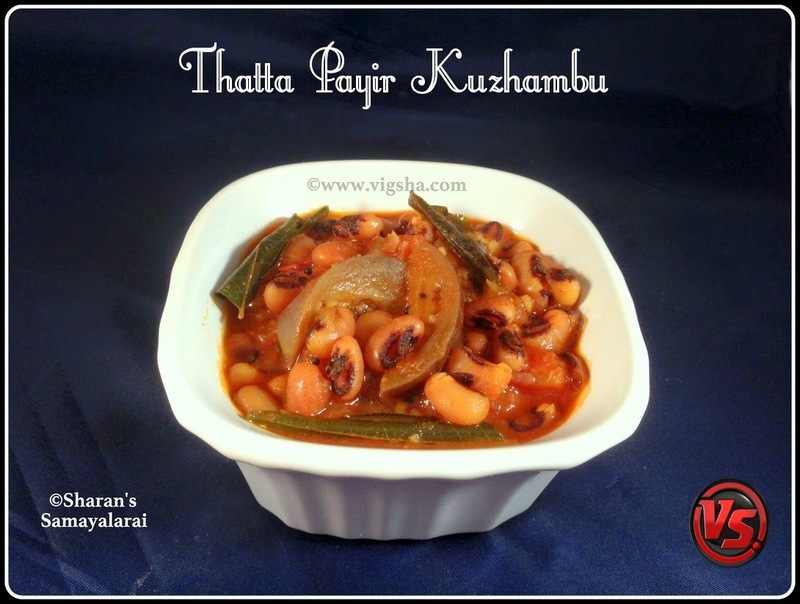 ThattaPayir Kuzhambu is one of my favorite. 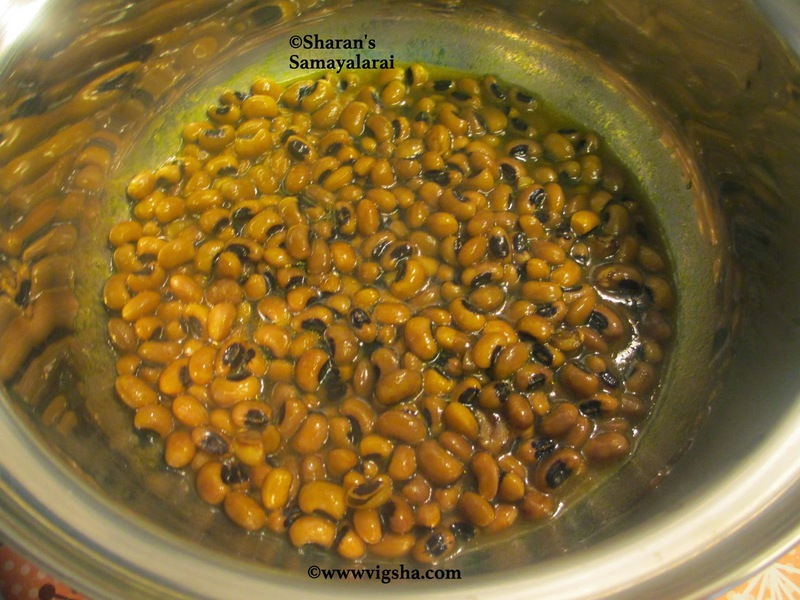 This is a traditional South-Indian gravy recipe. I have followed my mom's recipe..
1). 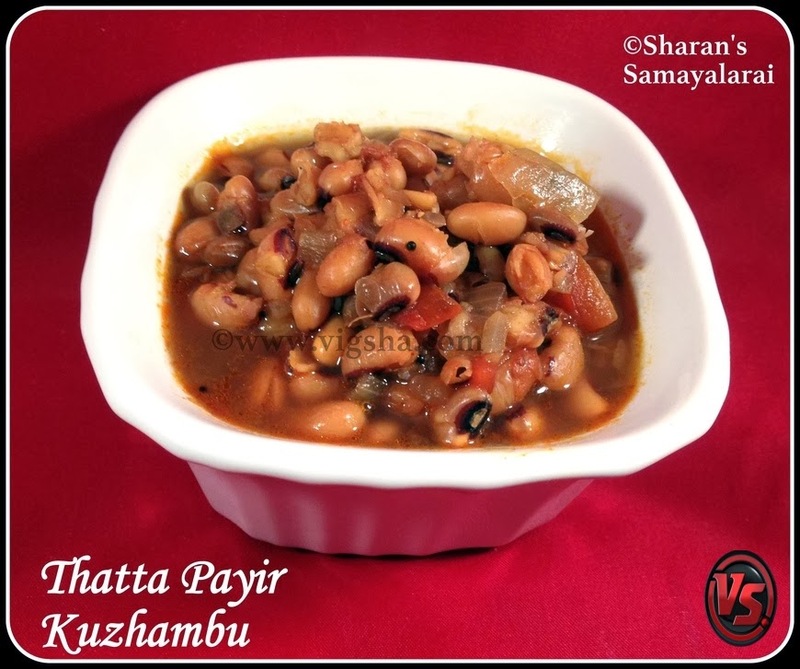 Cook the thatta payir with turmeric powder in pressure cooker for 3 - 4 whistles or until the payaru is cooked completely. Extract juice from tamarind and keep it aside. 2). Wash and thinly slice the brinjal, keep it immersed in water till you use, this helps to prevent discoloration. Chop the onions and tomatoes, keep aside. 3). Heat oil in a deep pan, add mustard, hing and curry leaves, let mustard splutter. Then add onions along with salt and saute till translucent. Then add tomatoes and saute till it turns mushy. 4). Add the sliced brinjal along with chilli powder and mix together. Then add the tamarind juice and mix together. 5). 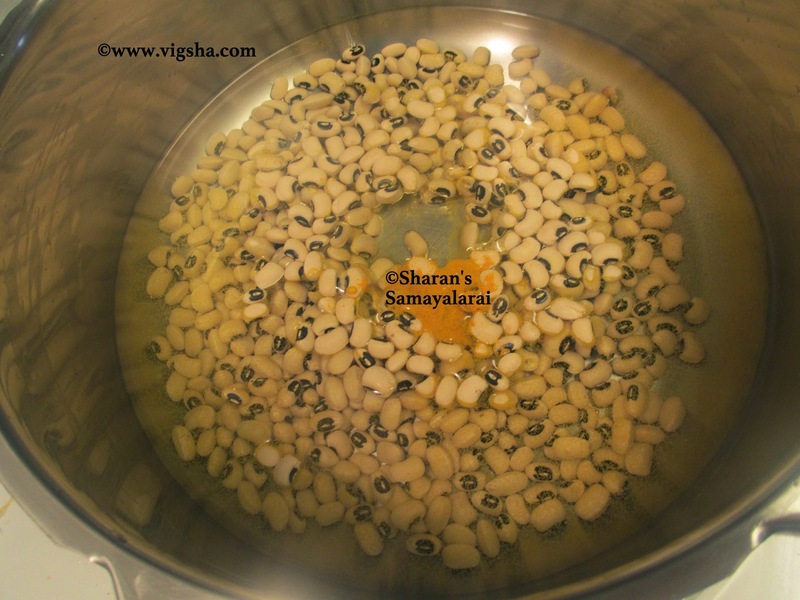 Add the cooked thatta payiru along with water if necessary. Let it cook until the brinjal is fully cooked and the gravy reaches thick consistency. Serve hot with steamed rice and appalam.